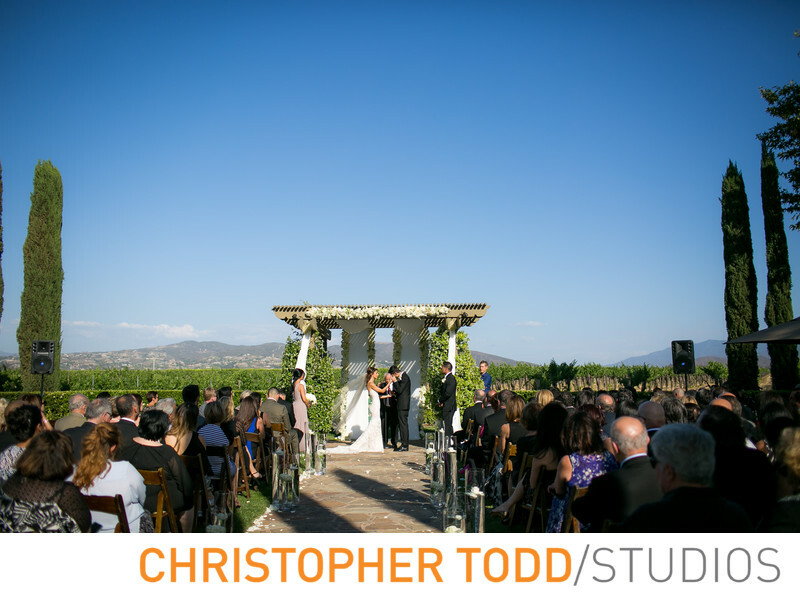 Ponte Winery weddings have stunning views of Temecula Valley. Photographers like myself love the classic old world charm of this venue. Ponte Winery is a luxurious property and the Ponte Vineyard Inn is a great place for you and your wedding guests to stay. Temecula Wineries are conveniently located one hour and a half from Orange County and Los Angeles. Just up the road is Wiens Family Cellar. You can have everything here even your rehearsal dinner how convenient is that. 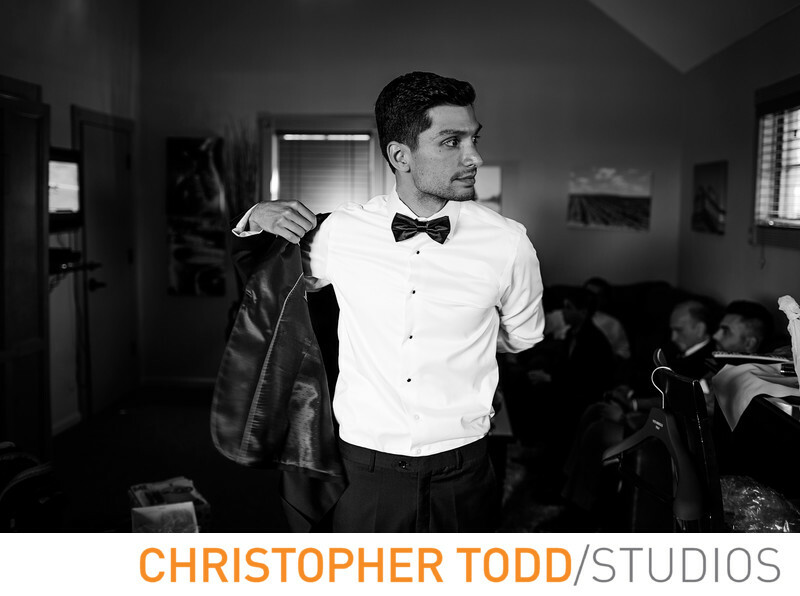 This property is stunning and there are so many places to take the bride and groom for a spectacular portrait session. You will love this luxurious Wine Country wedding. With two ceremony sites steps away from the vineyards, luxury, romance, and breathtaking views will make for a perfects wedding day. 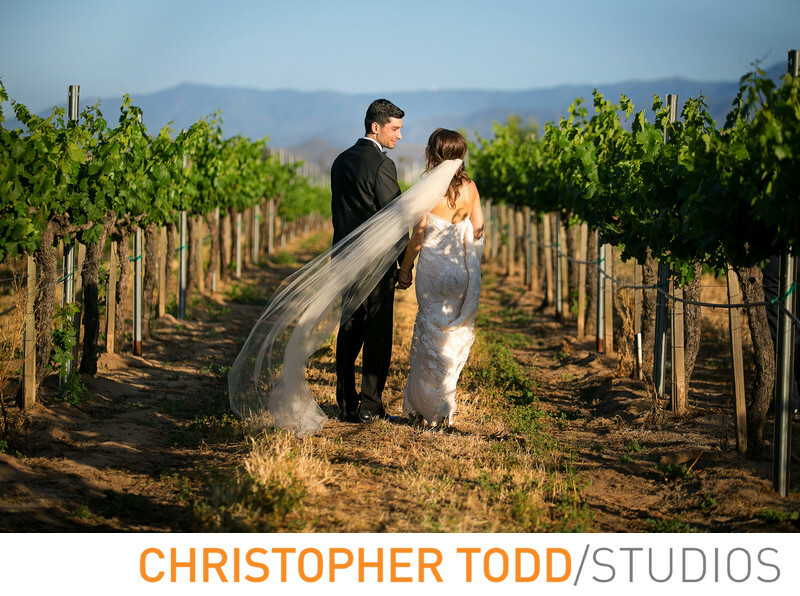 The most popular ceremony location is The Vineyard Garden with 180 degree views of the vineyards and the mountains of the Temecula Valley. Surrounded by mature willow and cypress trees. Can host ceremonies for up to 400 guests. Exchange vows in the courtyard at Ponte Vineyard Inn. Ponte Vineyard Inn is a 60-guest room mission-style hotel. The Vineyard Pavilion combines the traditional elements of a California ranch building with the amenities of a modern special event venue. For receptions up to 100 guests this mission-style Barrel Room is a breathtaking location. You and your guests won't be disappointed as you toast and take your first dance here. You will also enjoy having your rehearsal dinner at Ponte with three different venues to choose from.